See MisterChills full selection of icemakers. Our icemakers are all brand new, ex stock machines, and none of them are seconds or refurbished. 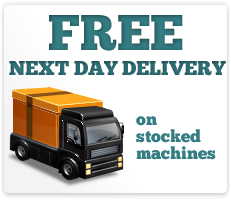 Once you decide on the particular icemakers you require, we will deliver them directly to your door. Normally, this will happen within 5 working days. Your new ice machine will come with 24 months parts warranty, although this should not be necessary as the icemakers we stock are brand new and of the highest quality. We make sure that we are offering you the best deal we can. Because we deal in ex stock machines, we can provide you with brand new icemakers at incredibly low prices. We keep the costs down in other areas, too. For example, we dont even charge you expensive installation fees, but if you do need help installing your icemakers, full instructions are downloadable from our site.